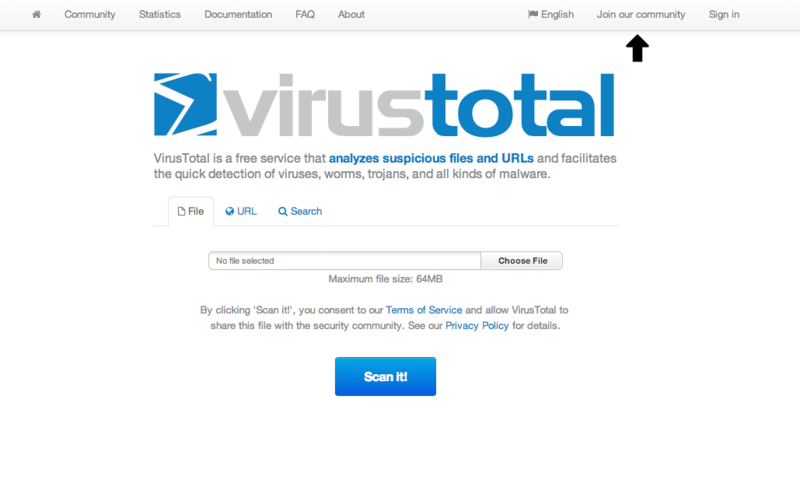 Important Update: VirusTotal has discontinued their services to WordPress plugins. Because this is a third-party service and unfortunately out of our hands, we’ve been forced to remove the malware scanning feature from iThemes Security and iThemes Security Pro in the latest version update (4.8.0+ free & 1.16.0+ PRO). 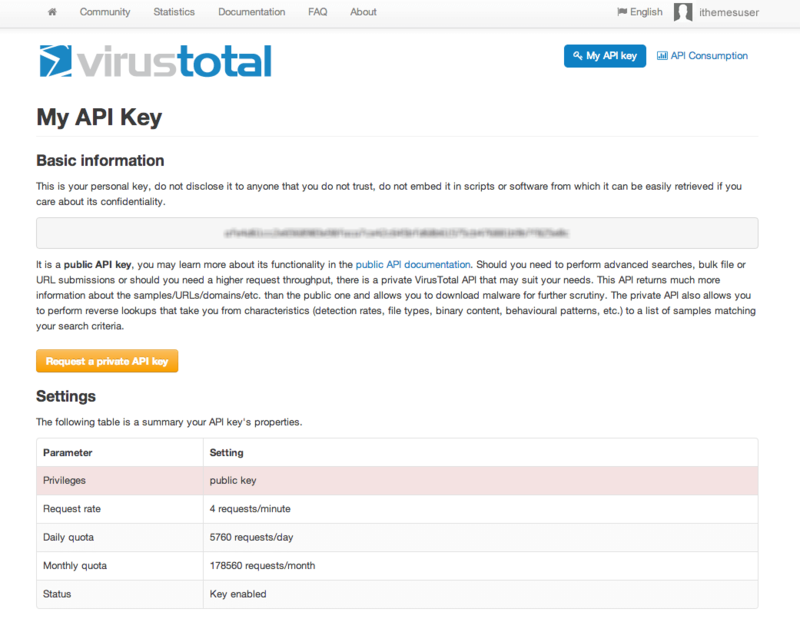 To get an API key from VirusTotal to use with iThemes Security’s malware scanning feature, you’ll need to set up a free account. 1. 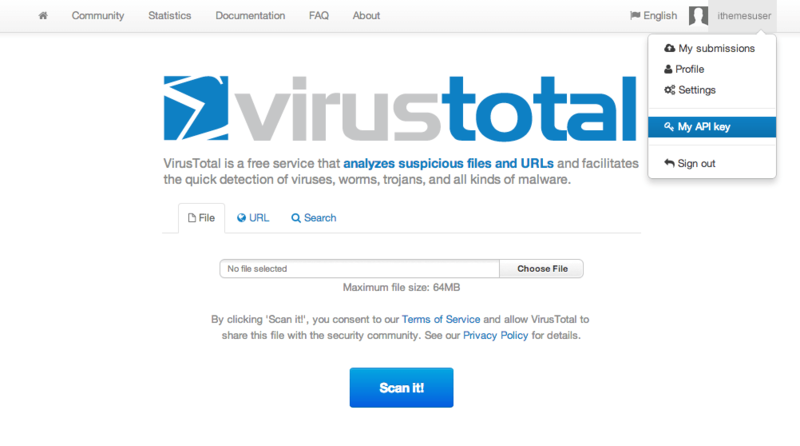 Visit VirusTotal.com to set up your free account. Click the Join our community link in the top right corner. 2. Complete the form with your account details. 3. 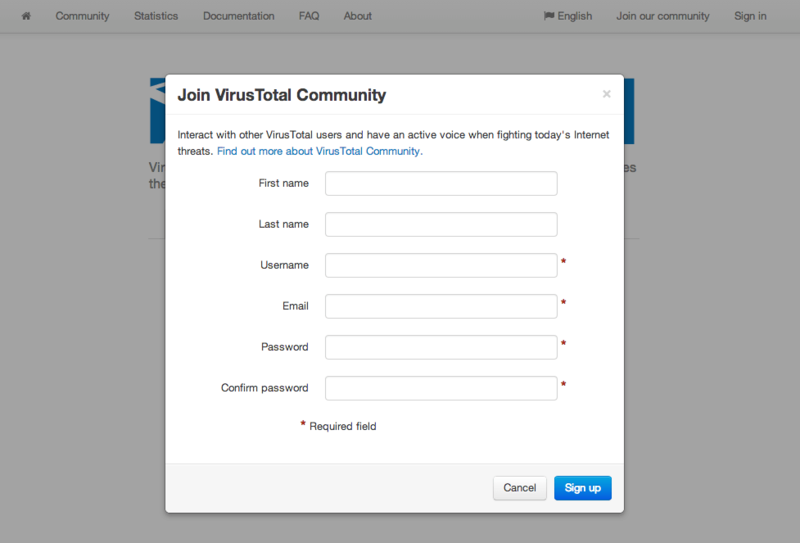 VirusTotal will send you an account confirmation email, so click the link in your email to activate your account. 4. Once you’ve activated your account, visit the My API key menu item in the drop-down under your username. 5. From this page, copy your API key. 6. Paste your API key in your iThemes Security Malware Settings. 7. Click Save All Changes.